On Tuesday, February 19, 2019, at 2:00p.m. 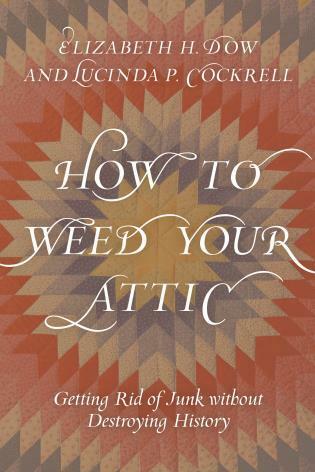 Oaklands will host local author, Lucinda Poole Cockrell, as she discusses How to Weed Your Attic: Getting Rid of Junk without Destroying History, which was co-authored with Elizabeth “Wiz” Dow. This event will be held in the Wedding Dresses Through the Decades Exhibit. After the author talk, Mrs. Cockrell will be available in the museum gift shop to sign books and guests are invited to enjoy the Wedding Dresses Through the Decades Exhibit. Books will be available for purchase in the museum gift shop. 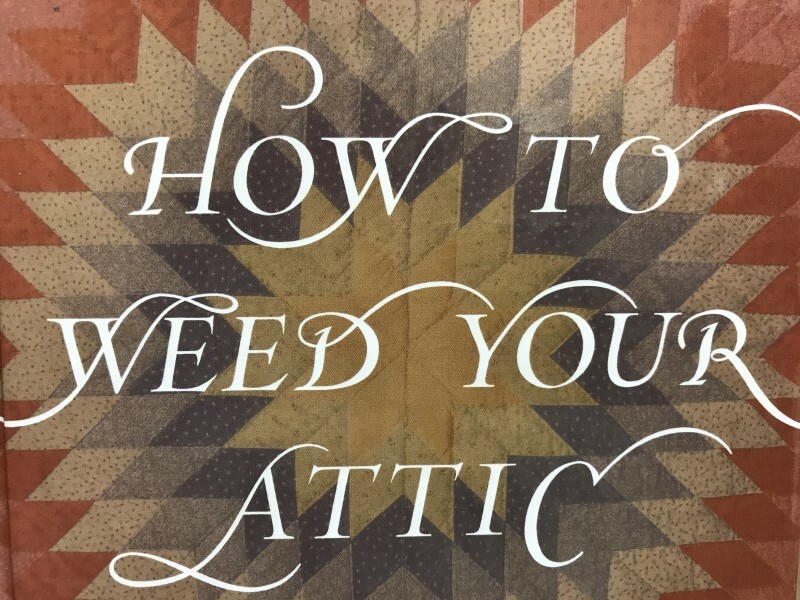 Their book provides answers to the question: when it’s time to move or someone dies — or just clean out the attic, garage, or basement, what papers and other things should we save for the sake of history and what can we safely toss? Cockrell will cover topics such as the historical value of various materials and how to preserve and/or donate family objects. Many of the dresses in the exhibit have been part of their family’s keepsake projects. After reading this clearly written book by a retired archivist and a retired museum curator, you can comfortably clean out your attic – or office, garage, basement, cupboards – with confidence that you’re not tossing out historically valuable (or invaluable) things, and that you will not ask your local museum to take things that really belong in a thrift store, junk yard, or recycle center. Lucinda Poole Cockrell is a Murfreesboro native and the daughter of Finis and Jane Poole, now both deceased. She is a graduate of Middle Tennessee State University, where both her parents were professors, and where she served as Assistant Director/Archivist of the Center for Popular Music for 15 years until she retired. Lucinda has worked professionally for more than thirty years in the museum, archives, and public history field. She has degrees in Historic Preservation (MTSU) and Museum Education (The College of William and Mary), and is a Certified Archivist. Her career has been graced by positions held at the James K. Polk Ancestral Home (Columbia, Tennessee), the American Revolution Museum at Yorktown (Virginia), and as a museum consultant. She now lives in the mountains of Vermont with her husband, Dale, her dog, Enkidu, and volunteers in local museums and libraries, serves on boards, collects ephemera, and helps friends weed their attics. Tickets are $20 per person and can be purchased online at oaklandsmansion.org, in the museum gift shop during regular business hours or call the museum gift shop to purchase your ticket over the phone by calling 615-893-0022.